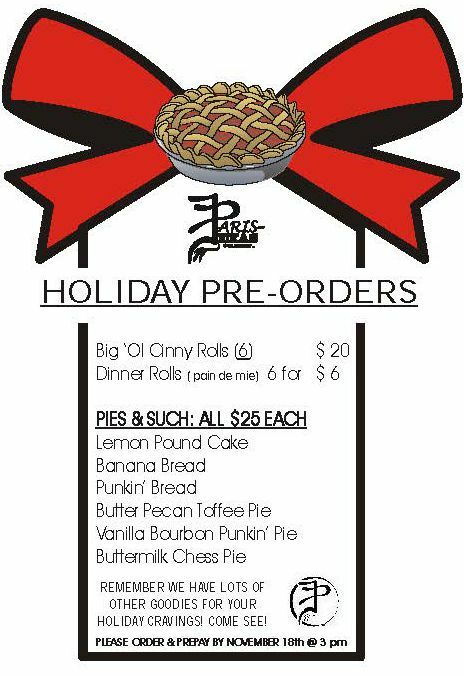 Holiday Orders! Today is the day! This is the info for Thanksgiving. For Christmas we will post an ‘order by’ date soon.